Do your parents have diabetes? Is there a history of heart disease or cancer in your family? These are questions your doctor likely will ask on pre-appointment paperwork or shortly after introducing himself. While conventional medicine subscribes to the theory of genetically inherited diseases, the scientific literature may not be so definitive. The truth might just be that what we actually inherit from our parents is their cookbook and their training log, or rather, their approach to diet and exercise. If we replicate what Mom and Dad did with their forks and their feet, logic dictates that our health (or lack of health) will often follow suit. Join physician and natural health expert Leonard Smith, MD and me today on LivingFuelTV as we discuss the debated concept of inherited diseases. Click on the image below to watch. 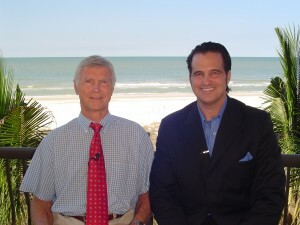 Today we wrap up our LivingFuelTV series with natural health expert Leonard Smith, M.D. Dr. Smith is a long-time advocate of LivingFuel products and uses LivingFuel himself in addition to recommending us to his patients, family and friends. Most LivingFuelTV viewers are LivingFuel users and are intimately aware of the positive impact it has made on their own and their family’s good health. But what exactly makes physician-recommended LivingFuel so powerful? And what is the most important supplement you can take for Super Health? We address these important questions and more in today’s video. Join us today and click on the image below to watch. 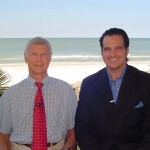 Join physician and natural health expert Leonard Smith, MD and me today on LivingFuelTV as we discuss the debated concept of inherited diseases. Click on the player below to watch. How do you know if you or someone you love is one of the millions dangerously deficient in the critical nutrient Vitamin D? Why is Vitamin D-3 the best dietary source of Vitamin D? And why is it so critically important to you and your family’s health? We answer these questions and much more in this podcast. we look at the impact food has on heart health. Click on the graphic below to join us! KC Craichy talks with surgeon and nutrition expert Leonard Smith, M.D., about the importance of nutrition for Super Health.